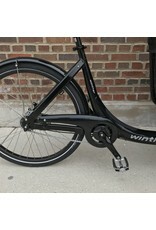 Winther Cargoo - J.C. Lind Bike Co. 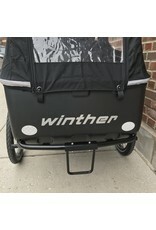 In 1932, a blacksmith named Anders Winther began making sleighs and bicycles in Denmark. 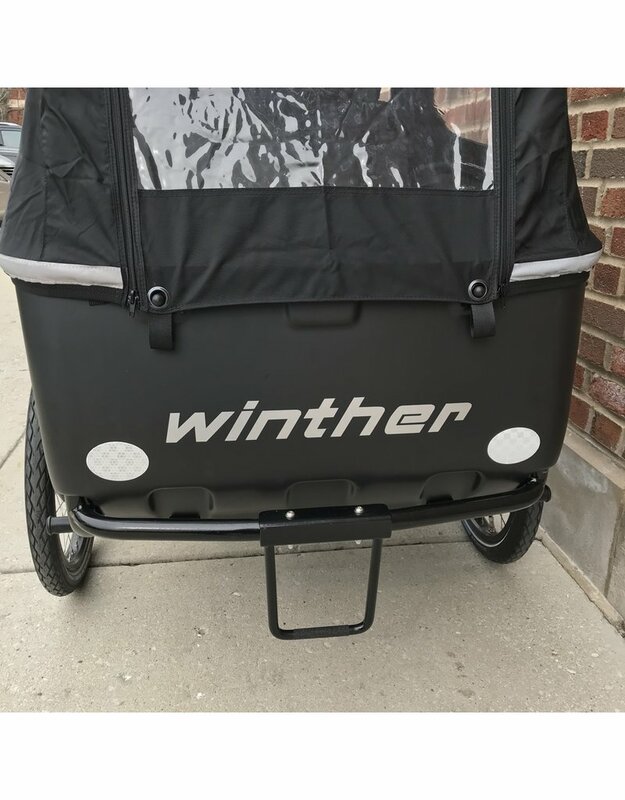 Today, the Winther company continues his legacy and is now a 3rd generation family business. 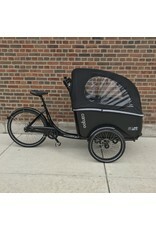 Even in the world of family cargo trikes, where the products are large, almost car-like vehicles, there is still a spectrum of simple designs and sophisticated ones. 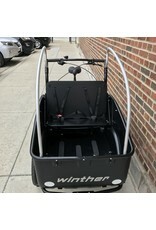 Winther undoubtedly and unswervingly makes sophisticated trikes. 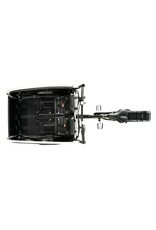 Their commitment to quality and comfort for both the rider and the occupants is unparalleled. 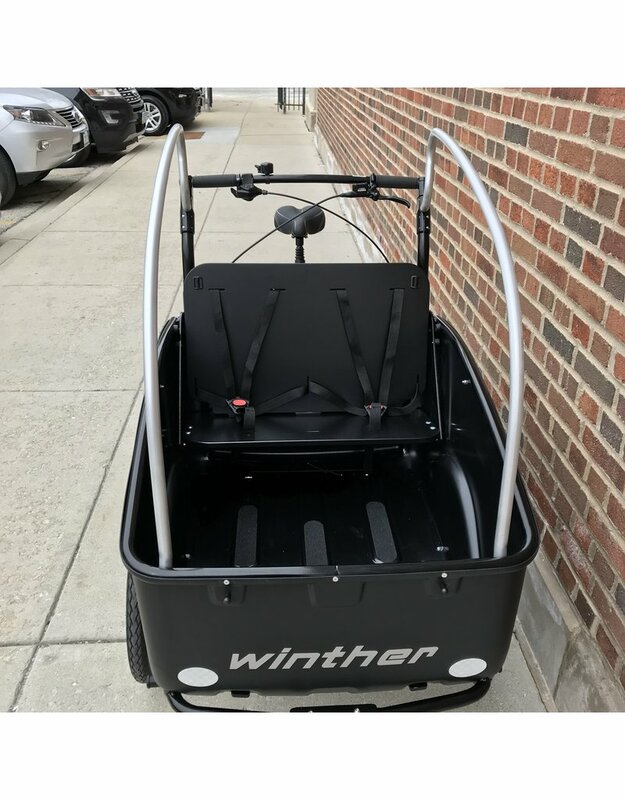 It's for these reasons that we've been importing Winther trikes for nearly a decade. 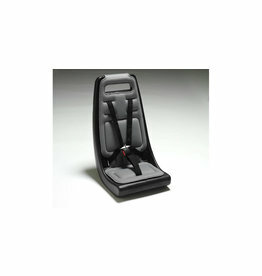 The Cargoo has a plethora of seating options and configurations within its cabin. 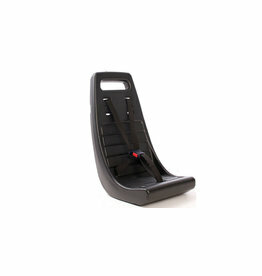 Included in the base price is your choice between either a single bench or two bucket seats. 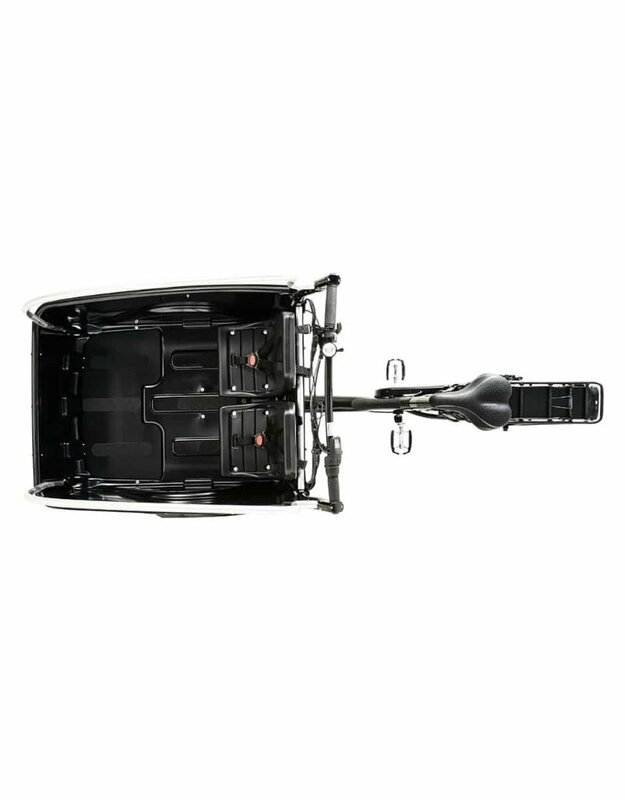 The bench spans the rear of the cabin, facing forward, and comes with two 5-point harnesses and a lap belt spanning both passengers. 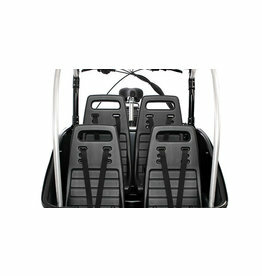 The pair of bucket seats also mount to the rear of the cabin, facing forward, and each come with 5-point harnesses. 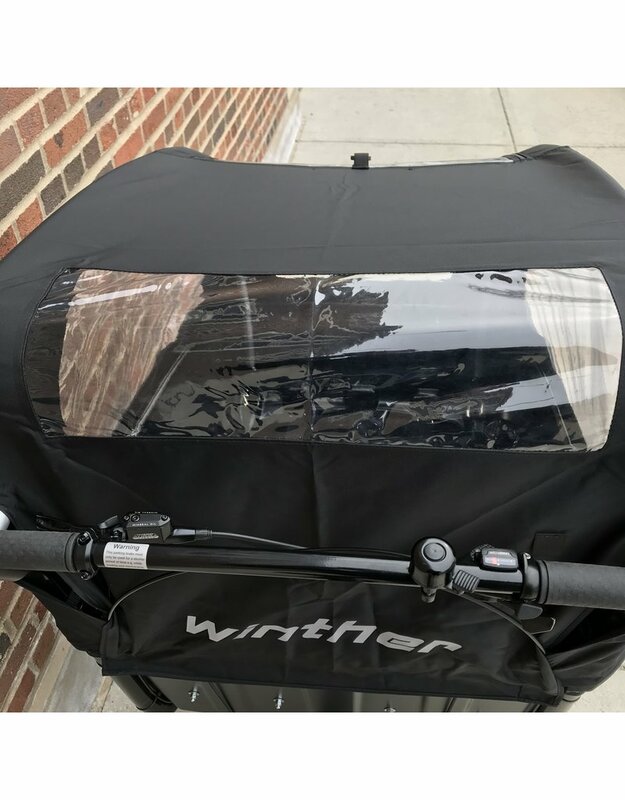 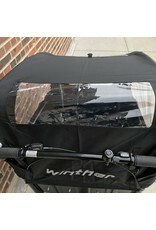 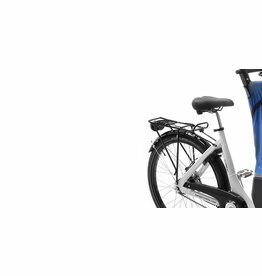 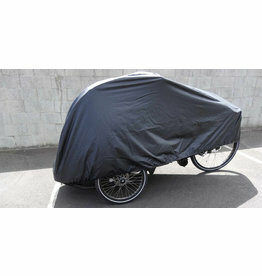 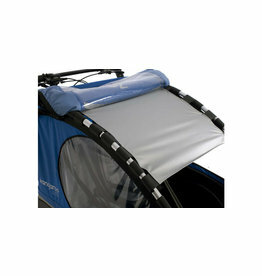 Also included with the bike is a rain cover with zippers for easy entry. 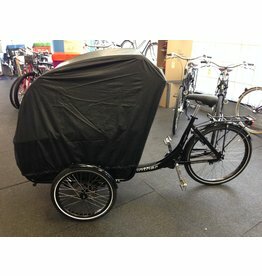 There are, however, more options available. 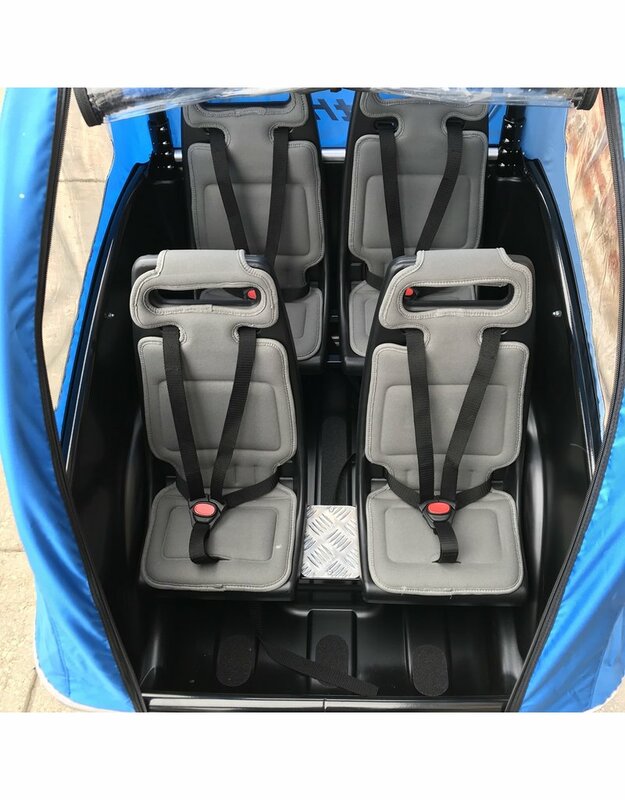 If your kids are too young for the base 2-seat configuration, those seats can be removed and replaced by one or two Weber baby seats, or a single Weber baby seat next to a single bucket seat. 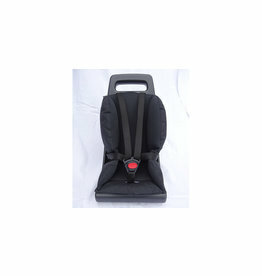 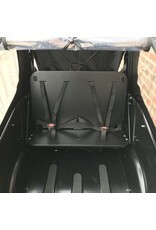 For images of the Weber baby seat you can refer to the list of related products below. 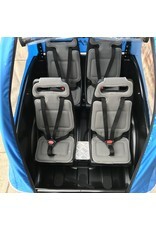 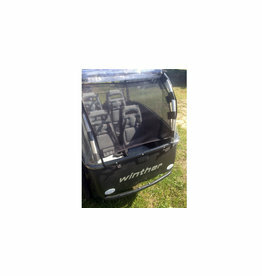 The cabin can also be configured to seat four total passengers. 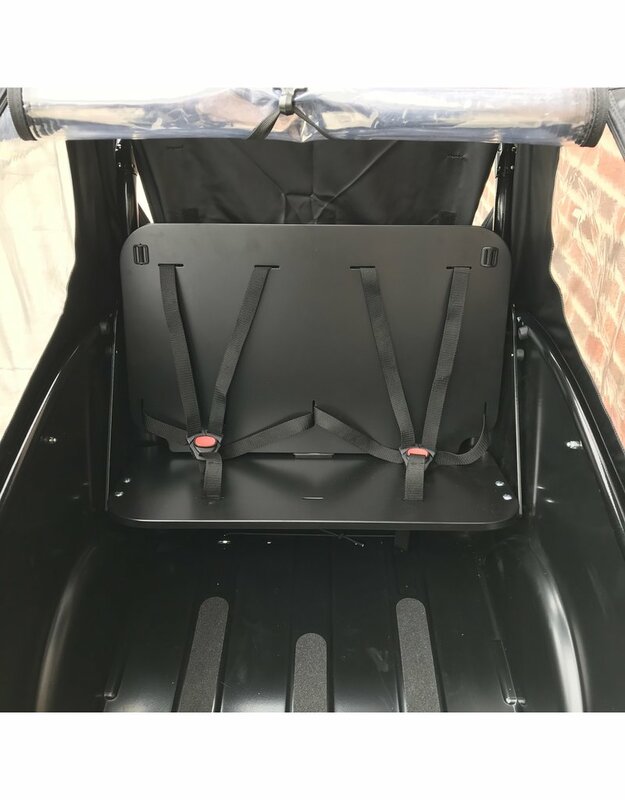 To do this, you can add a second pair of forward-facing bucket seats in front of the two included bucket seats (the four passenger setup cannot be done with the rear bench). 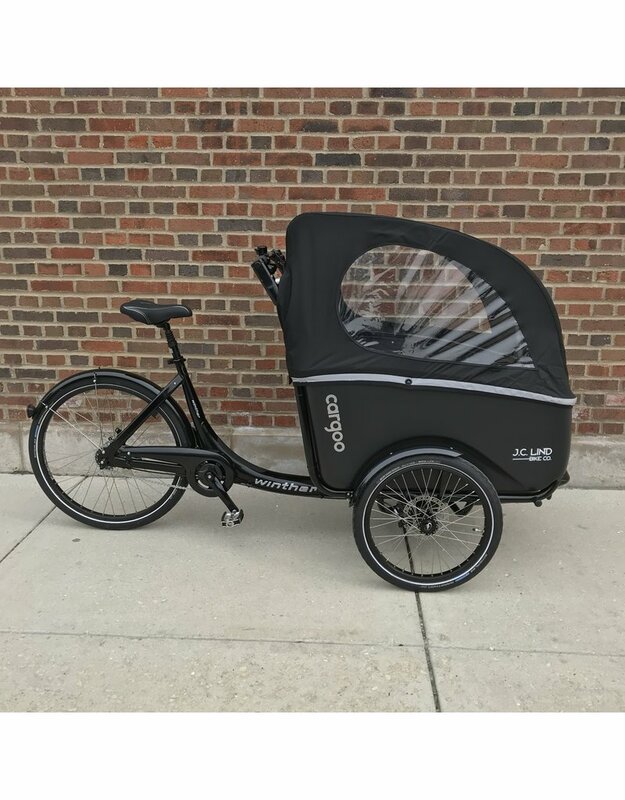 Please note: the recommend age for the passengers in this setup is between 2-4 years old, more ideal for a daycare center than for a growing family. 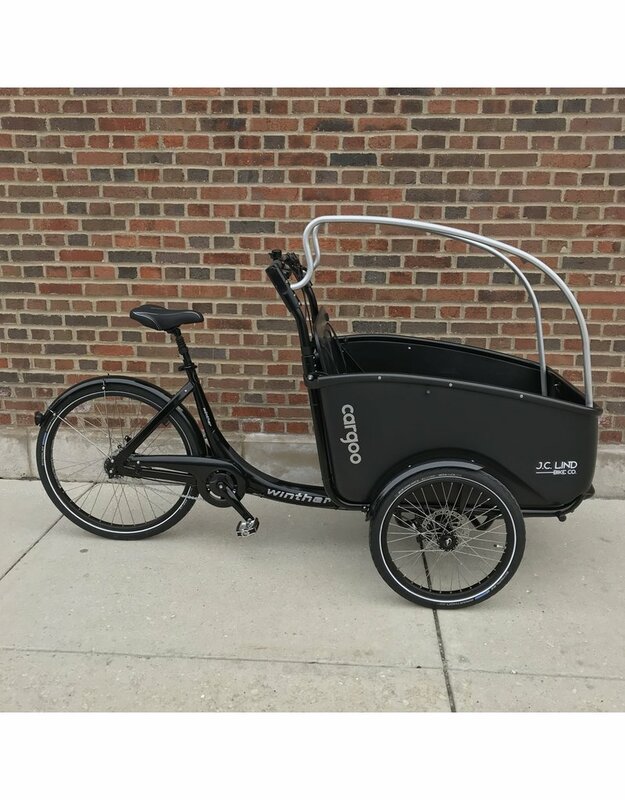 Lastly, at its simplest (and perhaps after the kids are all grown up and out of the house) the cargo cabin can be just a box, like a pedal-powered pickup truck. 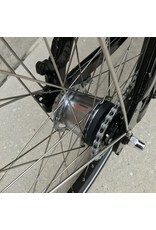 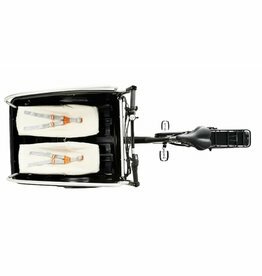 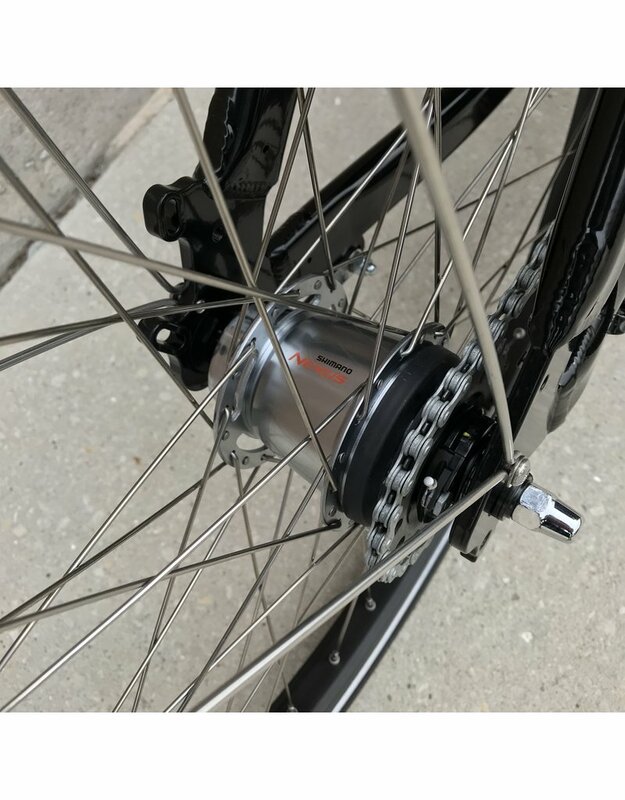 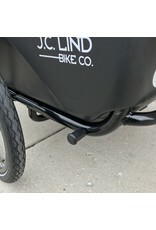 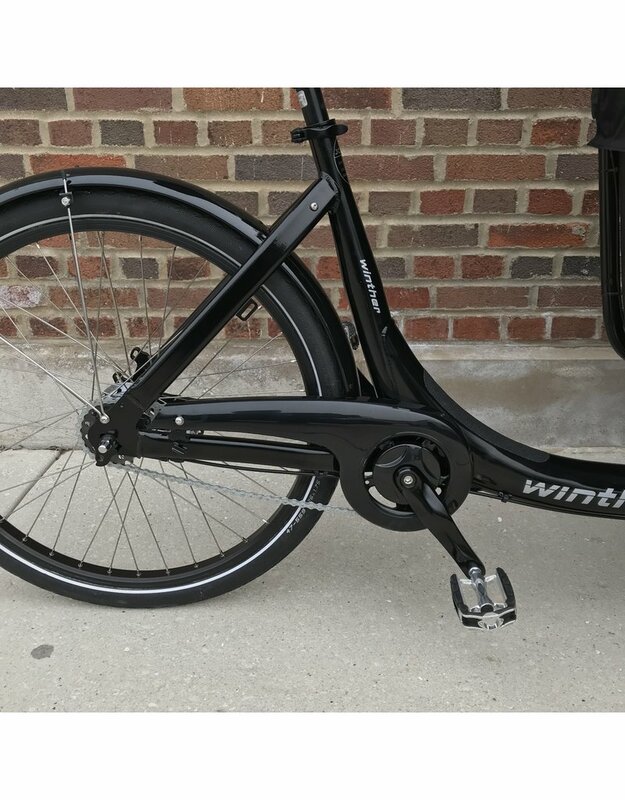 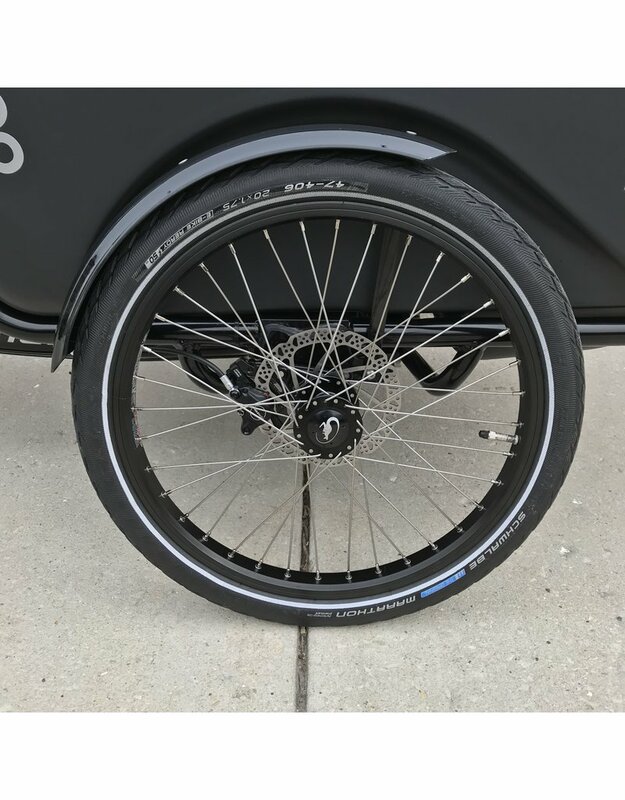 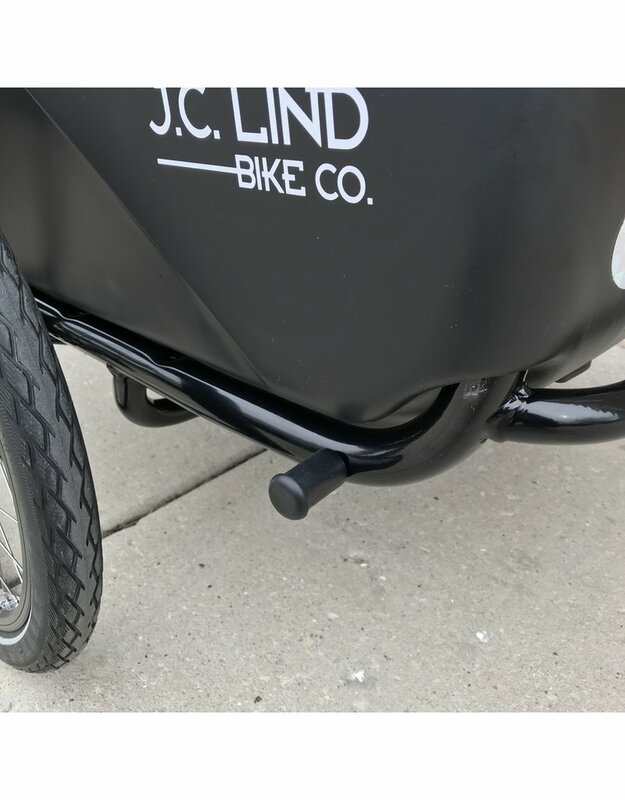 The Cargoo comes equipped with a 7-speed Shimano internal gear hub, a rear coaster brake, and two front hydraulic disc brakes, providing ample stopping power. 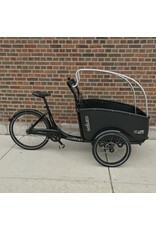 Other included features are a chainguard to keep your pant leg clean, fenders on all three wheels, puncture-resistant Schwalbe Marathon tires, and a suspension seatpost for a more comfortable ride. 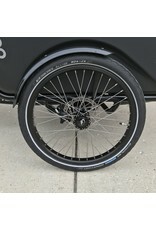 Lastly, see below for other potential add-ons.